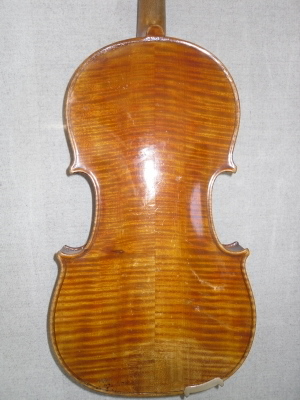 Labelled Longsons Perfected Violin London C1893. It has been played and loved a great deal by the previous owners. Fitted with new Rosewood pegs, new top nut, new French Aubert bridge, new soundpost, Dominant strings, Rosewood tailpiece and chin rest.